And this year, the star which has become synonymous with Christmas in the town, has a new home. Changes at Thwaites brewery means it would be impossible to erect the star in its usual place at the top of the tower. So the company has gifted it to Blackburn with Darwen Council so it can be saved. After searching long and hard for an appropriate spot to shine, the Council is giving the star centre stage on top of the Town Hall Tower Block. The star is expected to be switched on this Saturday (Saturday, December 17) following technical testing and weather conditions permitting as part of the town’s festive celebrations. 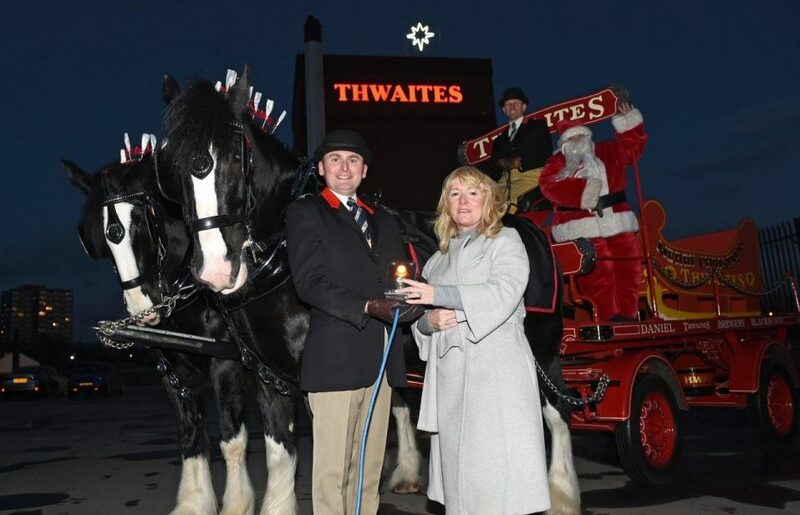 The much loved Thwaites Shire horses will be in town to help with the occasion before the lantern parade sets off from Ainsworth Street at around 4pm. We know the star has become synonymous with Christmas celebrations in Blackburn, so when we knew we would not be able to erect it this year we wanted to gift it to the town. We are delighted the Council is working with us to find it a new home and we hope it helps light up the town for Christmas for many years to come. The star is iconic. We were of course keen to step in and save such a cherished Christmas tradition and we will act as guardians of it for future generations. Given its height the Tower Block offers a good vantage point. It’s not a simple task to construction the star and get it in place but weather permitting we hope it will be switched on by the end of the week. Blackburn based scaffolding company Russell Heaton have generously offered to discount their charges and make a donation to the mayor’s charity to help make the change of location possible in time for Christmas. The star has been erected on the Thwaites tower for more than 35 years and was originally installed because the brewery was called Star Brewery. Rumour has it the original was bought from Blackpool illuminations.